This product is found on multiple online websites and contains one of the best price to dosage of total sterols that we have seen. 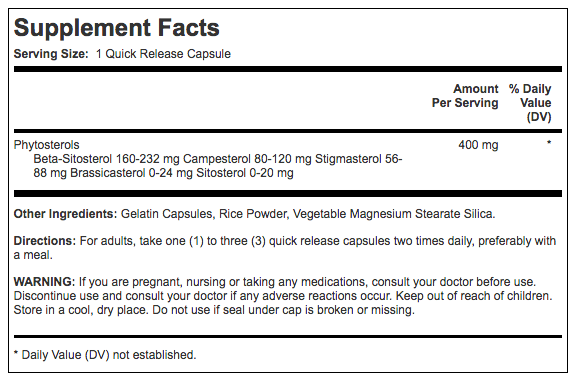 Our secret laboratory analysis came back and showed a dose of Piping Rock Beta Sitosterol has 443mg of sterols. Good job! This score is good enough to make it into the Top 10 scores. This product is a tremendous value. Unfortunately when we grade our supplements we take a lot more into consideration. Though this supplement is rich in sterols, it would be a more complete prostate formula if it contained other beneficial ingredients.